Acting suo motu on an anonymous letter and CD charges, Justice K. Padmanabhan Nair ordered an investigation into the alleged "criminal and social activities" at Divine Retreat Centre in Muringoor, Chalakudy, Kerala. 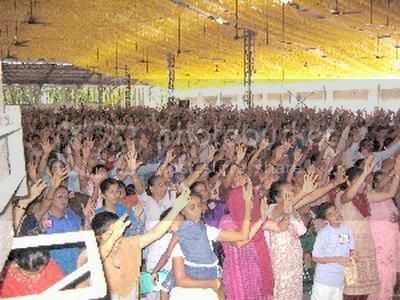 Divine in South India, is the largest Catholic residential retreat centre in the world where over 10 million pilgrims from all over the world are believed to have attended retreats since 1990. The allegations reported are suspected to have been made with vested interests and the centre has welcomed the court order and police probe. The fully story can be found with UCANews.com. At Konkani Catholics, we believe that the complaints and the court probe at Divine Retreat Centre have been permitted by God for a greater purpose and we are confident that when the truth is brought to light, those who have been behind the allegations and those who have supported them, will be put to shame and the good work and reputation of the centre will stand out brighter than before. We therefore express our solidarity with Divine, in this hour of its trial and assure it of the assistance of our prayers. We make the same request with all our readers. May the work of God triumph. Mary, Comforter of the Afflicted, Pray for us! This incident has been permitted by God for a greater purpose and the centre will stand out brighter than before. May God give more courage and strength to all those who is some way or the other related to the centre. May God Bless Divine More and More. If you are a Catholic from (origin) Goa, Karwar or Mangalore, join the Konkani Catholics egroup free. 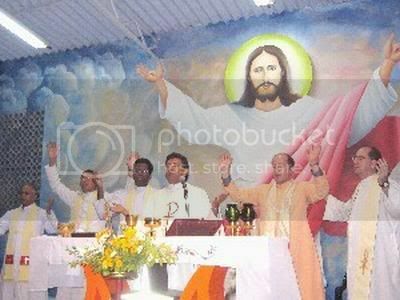 Copyright © 2005-2006 "Konkani Catholics"